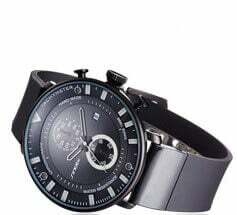 - Superior Quality: 100% Genuine Leather Band – Premium soft top genuine leather with fashionable craftsmanship, New stylish design, comes with stainless steel polished silver-coloured Classic buckle, anti-slip & sweat-absorbent. - Personalize your iWatch with this refined strap compared to apple ones, but much less price. 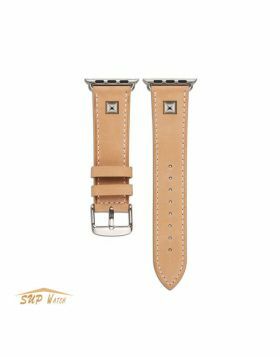 Question:Will this stylish leather band fit Apple Watch Series 2 38mm? Answer: This leather strap is designed for 42mm and 44mm Apple Watch 1, 2, 3 and new 4 models. Question: How to install/remove this leather apple watch band? Answer:So easy! Just gently slide them into the watch slots. Question: Is this 100% genuine leather? Answer：Yes, it's 100% Genuine Leather, Crafted from genuine cowhide leather, stylish appearance personalize your iWatch.